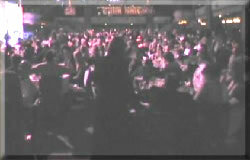 With over 600 corporate DJ and disco hire events including pinnacle events such as the B.A.F.T.A. Film Awards and the only event ever to be held in the House of Commons, Platinum D.J.s and Disco Hire are the ideal soloution for Corporate DJ Events be it a black tie christmas party, a more relaxed summer party or a product launch. Specialising in small to large corporate DJ events, Platinum have the valuable expertise to provide your event with the perfect D.J. 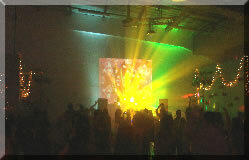 and disco hire to suit your individual requirements and the musical tastes of all of your guests, no matter what age. 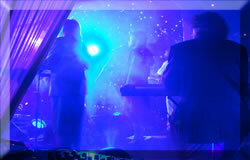 The Party Organiser can discuss the plans in detail with our team without obligation. 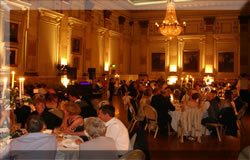 We will be happy to answer any questions you may have with regard to your event. You are then in a position to make an informed decision on which corporate DJ and disco hire package to book to ensure your employees, customers and or guests have a thoroughly enjoyable evening, whilst remaining within budget. Updated playlists can be read by clicking playlist . You are then free to make your own playlist full of your own requests. 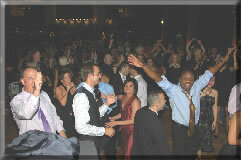 You can even e-mail the list to your guests so they can pick their favourite tune in advance of your event. Any tracks that are not on the list, but on UK release, can be sourced specifically for your Event. The corporate DJ will mix the music you have chosen seamlessly together in an order of genre and tempo to maintain momentum on the dancefloor throughout the evening. The corporate DJ is also happy to take requests on the night. Background music can be played at a unobtrusive level throughout dinner to enhance the ambience without interfering with conversation. 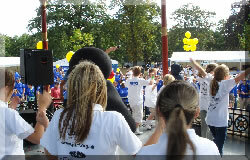 A microphone and PA system is also provided for speeches. 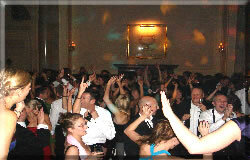 Every Platinum corporate DJ realises the importance of conducting themselves in a professional manner. They are reliable, punctual and courteous. 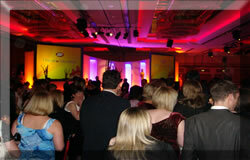 Each corporate DJ will arrive in plenty of time beforehand to set up with minimal disruption before your guests arrive. 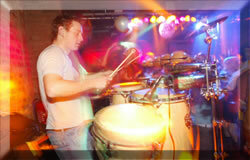 Their next objective is to keep the dancefloor packed all night making it a fun packed and memorable night for all. 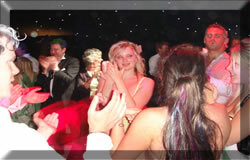 A full list of our corporate DJ clients can be seen on customers and testimonials from these clients on testimonials .